Erick Mejia does not have any MLB stats for the season. Full name is Erick Augusto Mejia…resides in Villa Mella in the Dominican Republic during the offseason. Spent the whole year at Northwest Arkansas (AA), playing in a career high 136 games, which led the Texas League… also led the league in at-bats (540), and ranked second in runs scored (79), third in steals (34), tied for third in triples (7) and tied for sixth in hits (142) ... Named a Texas League midseason All-Star, starting the annual game at second base for the North Division ... His 79 runs scored were tied with Nick Pratto (Wilmington) for the most among Royals minor league players, while his hit total ranked fourth ... Appeared in games at second base (63), shortstop (59) and center field (14), his first time playing the outfield in his professional career ... Between May 1-June 30, hit .298 (64-for-215) with 11 doubles, four triples and three homers (.428 SLG)… however, he hit just .232 (26-for-112) during July ... Enjoyed a season-best 11-game hitting streak, Aug. 5-17, in which he batted .333 (16-for-48) with four doubles, a triple, a homer and 11 RBI ... Set career highs with four hits, two homers and four RBI on May 13 vs. Tulsa…it was his third career multi-homer contest and his first game with four hits since Aug. 7, 2016 with Rancho Cucamonga (A+) ... Played for Aguilas and Licey in the Dominican Winter League, batting .194 (14-for-72) with two doubles, two triples and a homer in 31 games. Split the season between Rancho Cucamonga (A) and Tulsa (AA) and also appeared in one game with Oklahoma City (AAA) …played in a career-high 127 games, making starts at shortstop (46), third base (39) and second base (30)... Set career highs in doubles (21), homers (8), walks (45) and steals (28)... Ranked third in the Texas League with 25 stolen bases in 29 attempts (86.2 percent)…his 28 thefts overall were thirdmost among Dodgers' minor league players... After a slow start, batted .306/.375/.463 (70-for-229) with 13 doubles, a triple, seven homers and 40 runs scored in 62 games after the All-Star break... Named Texas League Player of the Week for the week ending July 30…batted .440 (11-for-25) with two doubles, four homers and seven RBI during the week of July 24-30... Recorded his first two career multi-homer games, July 27 and July 30 vs. Arkansas…also set a career high with four RBI in the July 27 contest. Played in 124 games at Rancho Cucamonga, making 110 starts at shortstop and 13 at second base ... Named a California League postseason All-Star, batting .317/.375/.422 (85-for-268) after the break…tied for the league lead in triples (12), while ranking fifth in hits (146), eighth in runs scored (78) and tied for 10th in steals (24) ... Acquired by the Dodgers from Seattle on Jan. 12, in exchange for RHP Joe Wieland. Limited to just 51 games in 2015 due to injury… played in 36 games for Everett (Rookie), going 18-for-18 in stolen bases, which tied for 10th in the Northwest League ... Earned the league's Player of the Week honors on Aug. 3…hit .416 (10-for-24) with two doubles, a triple and five runs scored the week of July 28-Aug. 3. March 25, 2019 2B Erick Mejia assigned to Omaha Storm Chasers from Northwest Arkansas Naturals. January 8, 2019 Kansas City Royals invited non-roster LF Erick Mejia to spring training. November 10, 2018 2B Erick Mejia assigned to Tigres del Licey. November 10, 2018 2B Erick Mejia roster status changed by Aguilas Cibaenas. October 13, 2018 2B Erick Mejia assigned to Aguilas Cibaenas. April 1, 2018 2B Erick Mejia assigned to Northwest Arkansas Naturals from Omaha Storm Chasers. January 4, 2018 SS Erick Mejia assigned to Omaha Storm Chasers. June 28, 2017 SS Erick Mejia assigned to Tulsa Drillers from Oklahoma City Dodgers. June 28, 2017 Tulsa Drillers activated SS Erick Mejia. June 26, 2017 SS Erick Mejia assigned to Oklahoma City Dodgers from Tulsa Drillers. May 23, 2017 SS Erick Mejia assigned to Tulsa Drillers from Rancho Cucamonga Quakes. May 4, 2017 SS Erick Mejia assigned to Rancho Cucamonga Quakes from Tulsa Drillers. April 19, 2017 SS Erick Mejia assigned to Tulsa Drillers from Rancho Cucamonga Quakes. February 28, 2017 SS Erick Mejia assigned to Los Angeles Dodgers. October 20, 2016 SS Erick Mejia assigned to Aguilas Cibaenas. April 4, 2016 SS Erick Mejia assigned to Rancho Cucamonga Quakes. March 26, 2016 IF Erick Mejia assigned to Los Angeles Dodgers. January 12, 2016 Los Angeles Dodgers traded RHP Joe Wieland to Seattle Mariners for SS Erick Mejia. 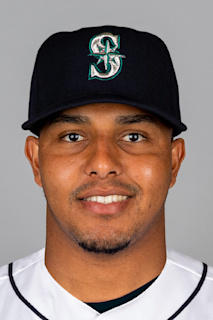 July 15, 2015 SS Erick Mejia assigned to Everett AquaSox from AZL Mariners. July 13, 2015 SS Erick Mejia assigned to AZL Mariners from Tacoma Rainiers. July 2, 2015 SS Erick Mejia assigned to Tacoma Rainiers from AZL Mariners. June 12, 2015 SS Erick Mejia assigned to AZL Mariners from Clinton LumberKings. May 26, 2015 Clinton LumberKings placed SS Erick Mejia on the 7-day disabled list retroactive to May 21, 2015. May 11, 2015 SS Erick Mejia assigned to Clinton LumberKings from AZL Mariners. March 26, 2015 SS Erick Mejia assigned to Seattle Mariners. July 5, 2014 SS Erick Mejia assigned to AZL Mariners. June 23, 2014 SS Erick Mejia assigned to AZL Mariners. June 23, 2014 AZL Mariners activated SS Erick Mejia. September 18, 2013 Pulaski Mariners activated SS Erick Mejia from the 7-day disabled list. August 8, 2013 SS Erick Mejia assigned to Pulaski Mariners from AZL Mariners. July 8, 2013 Erick Mejia assigned to AZL Mariners from DSL Mariners. August 6, 2012 Erick Mejia assigned to DSL Mariners. June 30, 2012 Seattle Mariners signed free agent SS Erick Mejia to a minor league contract.